China has stopped importing several French-made models of Renault cars, after a safety watchdog said it had found "safety problems". A Renault spokesperson said problems had occurred in transport and storage but not the manufacturing of some cars. The ban was announced three days after honorary citizenship of Paris was given to the exiled Tibetan spiritual leader, the Dalai Lama. The Chinese government had condemned the award. China's General Administration of Quality Supervision, Inspection and Quarantine issued a statement on Wednesday, but dated 4 June, saying "There are severe hidden safety problems." "It's not linked to manufacturing. We have taken measures to make sure it doesn't happen again. We are sending a team of experts on site," said Renault spokeswoman Gita Roux. The models affected by the import ban include the Laguna Ph2, Scenic, Megane Ph2 and Megane PH2 Coupe-Cabriolet. Renault sells fewer than 1,000 cars in China. On Monday, China assailed the decision by the Mayor of Paris, Bertrand Delanoe, to grant honorary citizenship to the Dalai Lama as a "grave interference" in China's domestic affairs. Tension has been high between France and China, following chaotic scenes during last year's Olympic torch relay through Paris, and a December meeting between Mr Sarkozy and the Dalai Lama. Last month China warned France not to make more "errors" on Tibet. "The behaviour of the Paris government... has created grave interference in relations between China and France," China's foreign ministry said in its statement to the AFP on Monday. 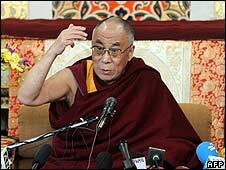 The Dalai Lama has lived in exile in Dharamsala in India since 1959, when China took full control of Tibet.